It seems to be a human instinct all the way, since we lived in caves, to collect and organize the collections. In addition, the human race through history always seems to be eager to help the young generation to understand and predict the future, by teaching them the history of the past. Some epoch-making inventions within hundred years gave the mankind brand new tools to hand over “a complete collection of the history of our time” to coming generations, and to access these collections independent of time and place. Today are we well aware of that the pioneering inventions of daguerréotype, Edison’s phonograph and Kinetoscope more than one hundred years ago. It was the beginning of a new era for the humanity, a milestone as big as when the first written text was left to coming generations as eyewitness written testimony of historical moments. These pioneering inventions and their successors, the camera, the tape recorder and the film camera, were the tools that gave our great grandparents a possibility to catch and preserve snapshots of their lives. The human instinct to collect and organize the collections opened up a unique opportunity. The past century was the first century ever which have given one generation an option to hand over a complete documentation of their lives, and all the historical events of their time, to the coming generations. In the Audiovisual archives all over the world are millions of hours of recorded sounds, films and videotapes stored with an almost complete documentation of every aspect of the daily life, work and pleasure for the human race during the last 100 years. Every historical moment and every highlight in politics, show business, culture, folklore, education and science, agriculture, commerce, industry, communication, and also the dark history of war, occupation and terror are preserved in the Audiovisual archives around the world. This past century is the first time ever in the history of humankind that one generation can hand over our heritage, “the complete story of our time” to coming generations. Now, a little bit more than hundred years later are we facing the next giant step for Mankind. What we see now is an endless possibility to browse through the historical collections, all over the world, independent of time and place. 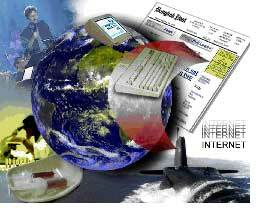 Internet and the IT-revolution have given us a technical platform and a user-interface for everyone around the globe to access these collective memories even from far distance. In addition, we can link those enormous collections together in a new context. The users can add their own comment, add new content and publish their findings. You do not need to write to the archive and ask for copies of some specific stills, film- audio- or video recording. In addition, you do not need to deal with a publisher to bring your findings to a new audience. Just start your wireless connected laptop, and the history of our time is searchable in a user-friendly interface, and all the worlds audiovisual archives can be accessible for your own research just one mouse-click away. Moreover, it will not cost you a penny, except for the Internet Connection. The topic for the Riga-seminar was “Building an archive for the future” and it was really intense days in Riga when more than 200 experts of audiovisual archives, databases and factories for mass migrating of analogue collections where gathered together to discuss these topics and a lot of other aspects of big and small digital audiovisual archives, when BAAC and IASA held a common seminar for archivists and researchers from all continents. More than 47 speeches where held during the four seminar days and the discussions kept going for hours after the official programme has ended for the day. There were also several good examples of successful mass migrating of audiovisual archives demonstrated and many new options of using the digitized archives were discussed. The Baltic States are extremely interesting when we talk audiovisual archives, because of the winds of history and also because the Baltics now have positioned digital conquests far more ahead than many other countries today. Here we have three small countries in the heart of Europe, which have been denied the most natural right to write down and publish their countries own history because of occupation and terror during the years from the Second World War until the liberation in 1991. The older generation of today is very eager to collect and preserve the testimony from the eyewitness of terror and outrage on the population done by Hitler and Stalin. It is hundreds and hundreds of stories of broken dreams, wasted ambitions and a lifelong nightmare for the whole population during the Nazi- and Soviet occupation years. And we have a young hungry generation of well educated citizens, well aware of their grandparents suffering and familiar to the latest technological landmarks. They are eager to write and publish their countries true history and able to spread their findings worldwide on new platforms like over Internet and in museums like The Occupation Museum in Riga. We have also a big population of Baltic’s in the Diaspora. An older generation of Baltic’s with their own memories of dramatic escape from the war and terror in their native countries. People who kept their dreams of their lost childhood paradise in enormous audiovisual collections, in Sweden, England, Canada and the United States, and many other countries, where the young generation only have very slight ideas of their grandparents dreams and struggle for freedom and for the right to write the true history of the independent Baltic states. But the collections are there, like for instance the Baltic Collections at Library and Archives Canada, and many others around the world. And the collections can now be linked together and accessible independent of time and place for the coming generations – if they are digitized and uploaded on an Internet server. So the Baltic people are maybe more eager than the most of us to collect, preserve and to digitize the audiovisual heritage. And they have administrations ready to take action, like the Latvian national standardization of digitalization formats and metadata standards, presented at the BAAC-IASA conference by the keynote speaker, Mr Andres Vilks, Director of the National Library. This is news many delegates in the audience found very interesting, because national or even international recommendations of standard for digital formats and metadata standards are wanted by people in museums, libraries and public broadcasters in many countries around the world today. It is very important digital conquests because once you have this standardization; it is very easy to link different collections together in one search engine and the browse can be presented in a common interface. So the Latvians have done a ground-breaking job in this area, bringing the widespread national audiovisual heritage to coming generations. 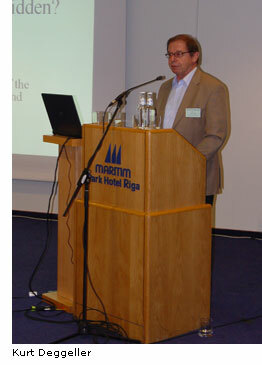 At the conference did many speakers give their reports about the Baltic Archives, which really are in A Time of Change. Like Daina Gauja and Iveta Kurme: Digitization Project “Jāzeps Vītols”. and Juozas Markauskas: Preservation of Lithuanian Audiovisual Heritage: Digitization Initiatives, Piret Noorhani: Mapping of Estonian Cultural Heritage: Attempts and Challenges, Maira Dudareva: Digital Image Indexing, Heiki Männik: National Broadcaster as Depository Body – Common Sense or Unreachable Commitment, Andres Didrik: Tartu University Library - Entering the World of Digital Collections and Archiving, Rasa and Raitis Šmits: Archiving of Electronic Art- (RIXC). Hermann Lewetz: When the Archives Go Digital, Simon Rooks: A New Species of Sound Archive? Adapting to Survive and Prosper, Perla Olivia Rodríguez Reséndiz: From the Sound Archives to the Sound Culture, Virginia Danielson and Bruce Gordon: Sound Directions: A Technological Collaboration Program for Archival Preservation Between Two Major U.S. Universities. This new digital era means also a revolution for the national archives of recorded film and the public broadcaster’s production archives. Examples were given from speakers like Ivi Tomingas: EF 100 – the Project of Preservation and Digitization of Estonian Film Heritage, Isabelle Giannattasio: Janus Attitude. How should a National Audiovisual Archive Handle Both Past and Future? And it is not only the film and video archive wich are affected of this digitalization era. Pio Pellizzari from Switzerland gave us reflections about a New Concept for National Sound Archives. Sound and Moving Images (SLBA). This work is already in progress, and production rates are meeting or exceeding expectations. The first selection of 1.5 million hours consists of nationally broadcast public-service recordings, which comprise one-quarter of SLBA’s total of 6 million hours of recorded material. And there were other examples to learn of, like Lewis Mazanti: Lessons of a Recently Completed Migration Project: Can the Contextual Integrity of Analogue Media Artefacts be Preserved? Tedd Urnes from Norwegian Broadcasting Company, NRK and Lasse Nilsson from Swedish Television Archives held an interesting workshop about the frequent use of archive footage in new film production. Sometimes the film director honestly declare the use of archive footage and sometimes film producers use documentary pictures in the purpose of getting more reality feeling to the new film, without credit to the original film makers. Tedd Urnes and Lasse Nilsson had a lot of examples from Hollywood productions as well as Scandinavian, and European film production. The following discussion gave many new aspects on this reuse of documentary or news footage in film production. This new digital era with IP-TV gives new possibilities to combine traditional TV-viewing with full interactivity and full access to the whole TV-archive from the remote control to your TV-set. Henrik Larsson: My News & Sports My Way - Making Digital Archives a Living Room Experience. The University in Malmö and Swedish Television in Malmö have built a digital interactive archive that allows engagers to discover, select and recombine news and sports items into stories which meet their individual tastes. Or to follow the latest edition of the news programme, and go deeper into any subject by setting the ongoing programme to pause, and ask for MORE or RELATED from the archive. My News & Sports My Way are a part of a big research project, 13 partners from 8 European countries are involved in the NM2-project in different roles. The Audiovisual Archives has to be active on the field and document ongoing changes and record contemporary testimony from eyewitness to historical moments, said Lelde Neimane from The Museum of Occupation in Riga. She works in a project collecting eyewitness report from the years of war, terror and occupation of Latvia. And there were another speaker on the conference agenda, working with documentation of a cruel government’s outrage on their own population: Lekoko Kenosi, who was supposed to held a speech: The South African Truth and Reconciliation Commission’s Audiovisual Records and the Great Access Illusion. But his speech has to be held at the conference by another South African, Ilse Assmann, IASA, due to some mistakes or misunderstanding in handling of his Visa-application to EU. An actual reminder that we are still not living in “The best of all worlds” as Voltaire wrote in Candide more than 200 years ago. Johan Oomen and Alexander Hecht held a speech about Video Active Creating Access to European Television History. And Tjeerd de Graaf & Victor Denisov gave an interesting speech about their work: Endangered Sound Archives and Minority Languages in Russia. Another great example of hard work on the field, to record and collect voices from minority languages before the last speaker of that language has gone. And there were several reports given on the state of the art digital Archives, like Heinz Looser: DAS - The Digital Archives System of Swiss Radio DRS. Regina Varnienė: Strategy of Long Term Preservation of Lithuanian Digital Cultural Heritage, Current and Future Projects. And Aldis Putelis rase the question: How to Create Better Access to the Archives or are the Archiving Principles Changing? There are no simple answers to the question of choosing the right system for mass storage of digital audiovisual archives. But Jouni Frilander gave some Strategies for Choosing Future Mass Storage Systems. 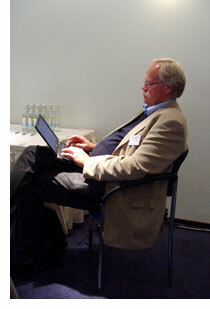 And Pekka Gronow held a speech: Towards Integrated Archives. Pelle Snickars and André Wacholz gave a presentation of Sweden's Media Database. 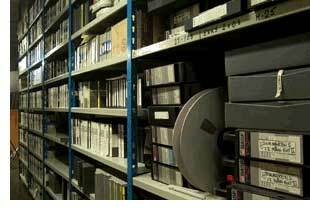 A complete collection of all audiovisual media published in Sweden since the 1979. The Swedish National Archive of Recorded Sound and Moving Images (SLBA) collects the Swedish output of audiovisual media: broadcast radio and TV, film, video, records, multimedia. Many Audiovisual archives around the world have a special focus on cultures in change, like The National Sound Archives in Jerusalem, and Gila Flam held a speech: Between National and World Musical Traditions. Another example: Frances C. Salmon and June Barbour: The University of the West Indies’ Library of the Spoken Word: Public Education Catalyst. They had one problem in common. How should we get our enormous collections of analogue material to digital form? The problem with Reality Check was the last item on the conference. Examples were given by Kevin Bradley: Sustainable Digital Preservation Repositories and the Open Source Solutions. Shubha Chaudhuri: Archival Policies, Ethics and the Law: Balancing Needs of Patrons, Performers and Communities. Rainer Hubert: How to Steer an Archive through Neoliberal Waters. Questions of Financial Sustainability Exemplified by the Österreichische Mediathek. And finally John Spence: “Harim gut, lukautim, na iusim”: The Creation of a Modern Sound Archive at Papua New Guinea’s National Broadcaster. So it is not an understatement to say that these were intense days in Riga. And maybe the seminars and all the discussions between the speeches can give the audiovisual archives around the world a better chance to hand over “the complete history of our time” in a way that not even Edison could have dreamed of.